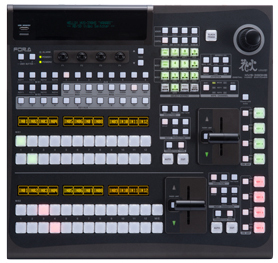 Able to add just the input and output formats you need, in just the amount needed. There are six expansion slots so that other inputs and outputs can be installed, such as analog component, analog composite, HDMI and RGB in addition to HD/SD-SDI. 4 channels of HD/SD-SDI input are possible with a single card. A frame synchronizer function for all inputs and re-size (expansion) function for 2 inputs are provided. SD images can be processed internally as HD images. 2 channels of HD/SD-SDI output are possible with a single card. 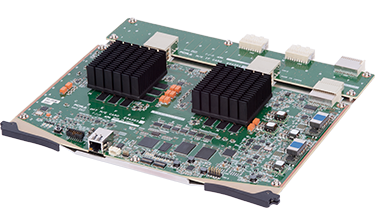 As down-converters are provided for all outputs, HD and SD images can simultaneously be output. 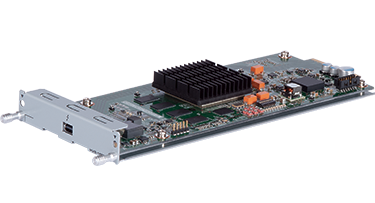 2 channels of analog video signal input are possible with a single card. Input terminal 2 is a dedicated connector (conversion connector supplied). The user can select between analog composite and analog component (HD or SD) input for each input terminal. 2 channels of analog video signal output are possible with a single card. Output terminal 2 is a dedicated connector (conversion connector supplied). 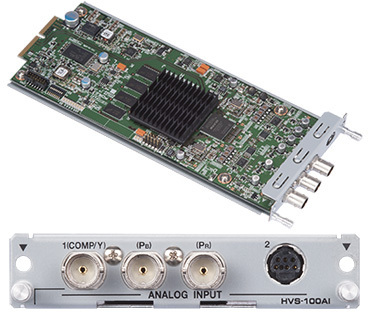 The user can select between analog composite and analog component (HD or SD) output for each output terminal. HDMI and VGA terminals have been mounted onto a single card. 2 input channels are possible using both. HDMI and VGA terminals have been mounted onto a single card. 2 output channels are possible using both. A single Thunderbolt™ 2 cable allows up to four total streams of full HD input/output video or one system of 4K (UHD) video input/output. 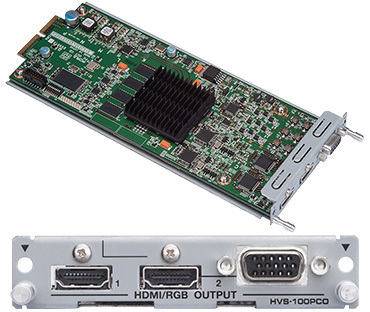 The HVS-2000 can be utilized as a 3M/E video switcher, (just) by the addition of a card, which when used with the internal multi-viewer (function), allows 3M/E capability, but not the multi-viewer (function). Implementing an internal 3D DVE card (HVS-2000DVE-EX) allows 3D DVEs to be used for 4K inputs. 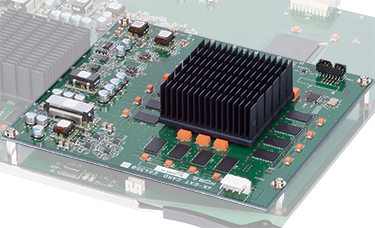 Using (the internal 3D DVE card) together with the 4K 2SI software option also allows 3D DVEs to be used with 4K 2SI signal. 4 channels of 3D DVE output are possible using a single card. 12 total channels of DVEs are available, including 2.5D DVEs as standard. Includes effects such as page turn, ripple, and wave, as well as cropping with rounded corners. Replicates the features of the standard multi-viewer and adds another 2 channels of multi-viewer display. Also adds 2 Still image store channels. 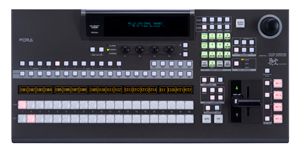 Adds 4 channels of advanced chroma keying and 8 channels of color correction. Advanced chroma keying* can be applied to FLEXaKEY signals and color correction to source material or to video from AUX output. 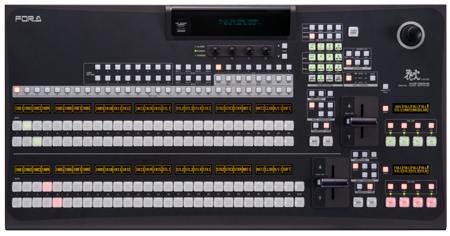 Optional software introduces 3G-SDI and 4K format support or adds a switcher control interface. This software also allows 4K 2SI (2 Sample Interleave) signal input/output. Enables switcher control using control commands that expand the editor interface. Can also be linked to OTC-1000 or GearLink™. 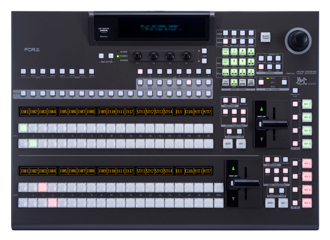 Introduces 3G-SDI format support, enabling the switcher to be used with 4K systems. Up to 3 control panels can be connected simultaneously. These newly developed control panel offers ultimate usability. Four types of AUX remote control panels available. Allows remote aux control or even a shotbox for user button control or macro recall. Up to 12* control panels can be connected simultaneously. *Planned for future support. Open collector-type HVS-TALOC20/32 or relay-type HVS-TALR20/32 can be connected. 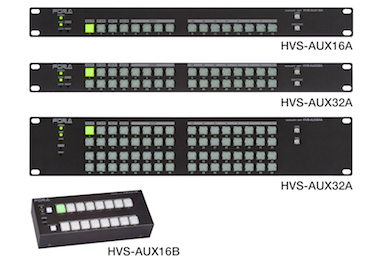 They are both half-rack size, and up to 4 units can be connected to the HVS-2000.